[Gifted] 5 Second Rule Jr. from University Games is aimed at families with children age 6 and up. The concept is simple: you need to name 3 of something as prompted by the game cards, but you only have 5 seconds to do it. With the pressure on it makes for a funny and fast paced game. We were sent a copy of the game to review and I am also giving one away. 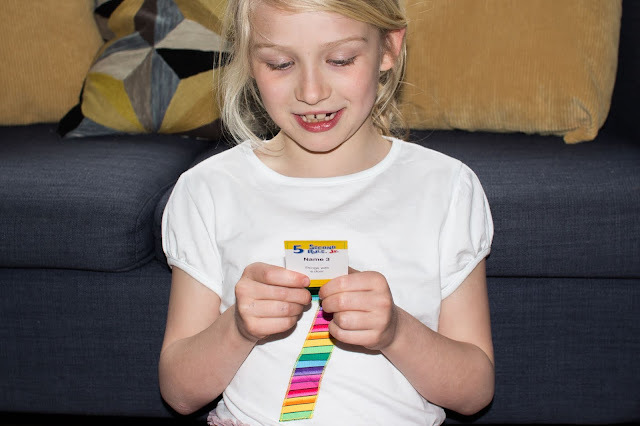 Read this review to find out more about how to play 5 Second Rule Jr. and what we thought of it. 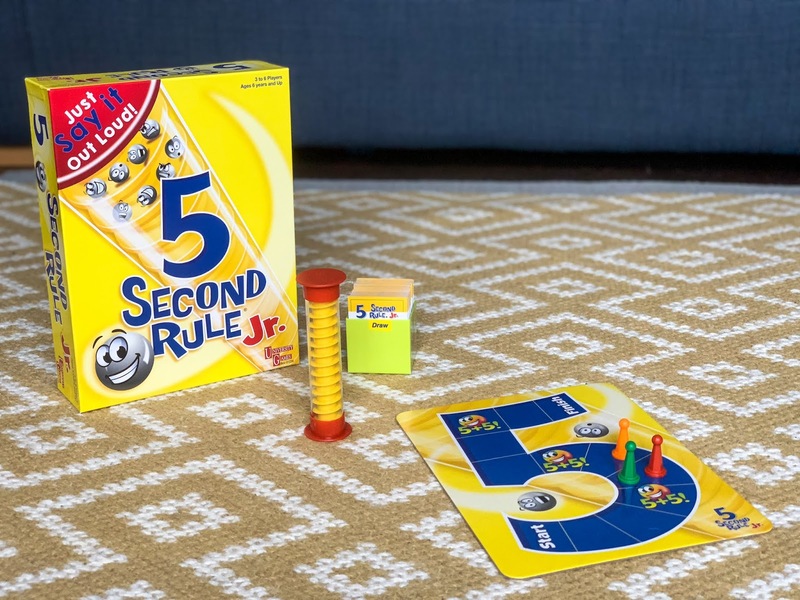 How to Play 5 Second Rule Jr.
Open the box and you’ll find: a game board, 200 double sided cards, 6 playing pieces, a timer and rules. Just grab a couple of other people (the games is for 3 to 6 people) and you are ready to play. The youngest player starts and whoever gets to the finish square first wins. The person on the right of the youngest player takes a card and reads it out loud. It will say something like “Name 3 things found in the bedroom”, the timer is then flipped and the first player has 5 seconds to give their answers. If they manage it they move forward one space and the player on their left gets 5 seconds to answer the same question (without giving any of the previous answers) so they can move forward a space. The game keeps moving round clockwise until someone doesn’t answer correctly or can’t think of enough answers. Then that player takes a new card and reads it to the person on their right. The game is recommended for age 6 plus, but depending on your child they may enjoy it at a younger age. The game rules suggest younger, less experienced players only give 2 answers in each round and they may also need help reading the cards out. I think with adaptations children younger than 6 can happily join in the game with the family. What are the Differences between 5 Second Rule and 5 Second Rule Jr? 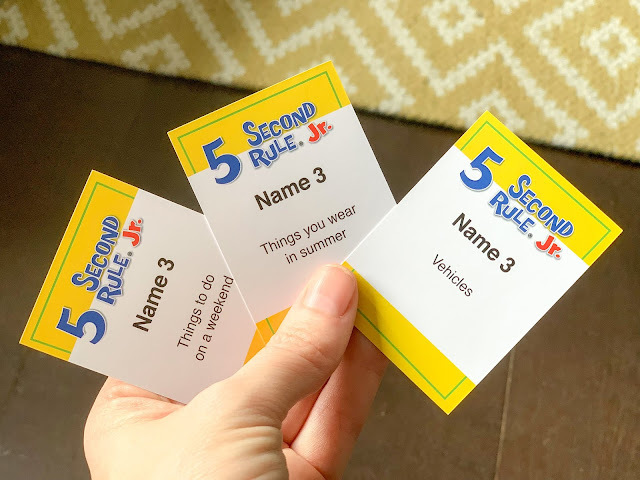 The most obvious difference is the topics on the cards are easier in 5 Second Rule Jr so they don’t require the same ability to read or general knowledge. In the original game each player has Switch and Pass On cards and there is a ‘danger zone’ area on the board which allow for more tactical play. In the junior version there are no extra cards and the 'special' spaces on the board are helpful (the player who lands on it gets twice as long to answer on that go). The other difference between the two versions is that in the Junior version each player takes a turn to name 3 things which match a card until someone doesn’t manage it. Each player that is successful moves forward one space making the game faster than in the original version where only one person moves a space forward in each round: either the first person to successfully name 3 things correctly in 5 seconds for each card or the person who was in the hot seat if no one managed it. 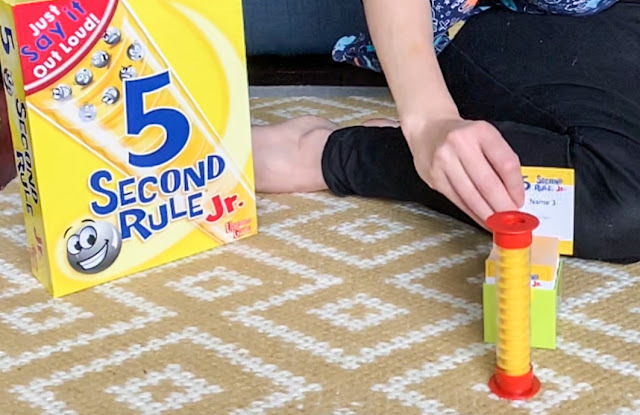 What We Thought of 5 Second Rule Jr.
5 Second Rule Jr. is a fun family game which is easy to understand and play. Fast thinkers with a good vocabulary will have an advantage, but as anyone who has watched Family Fortunes will know even smart people say daft things when they are under pressure. The longer each round lasts the tougher it is and we found it wasn’t the same person who lost each time. This is a great game for playing together, but not so good for when our baby is sleeping as the timer makes a silly noise when you turn it over and voices get raised in excitement. 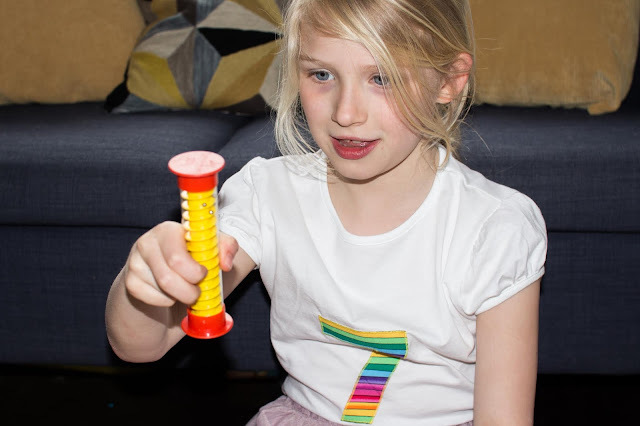 The game encourages memory skills and quick thinking making it great brain training for all the family. To win your own copy of 5 Second Rule Jr. enter the giveaway via the widget below. Why not answer one of the questions “Name 3 things parents write on calendar” in the comments, even better can you think of 3 that haven't been mentioned already? 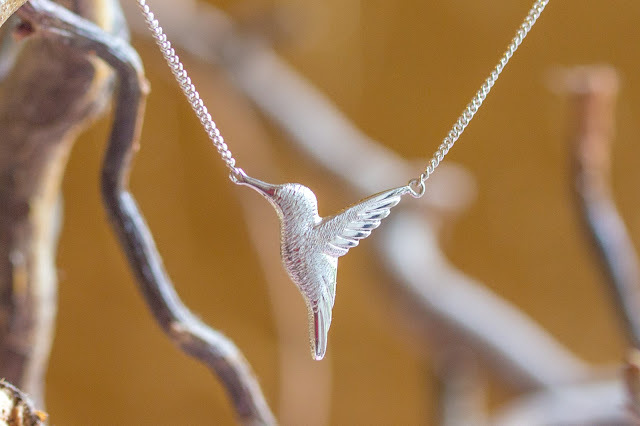 Giveaway closes on Sunday 5th May 2019 at midnight, UK residents only. Full T&Cs in the widget. Doctors appointments, birthdays and parents evening. 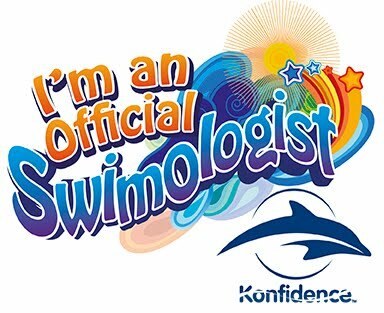 School dates, appointments and kids parties! 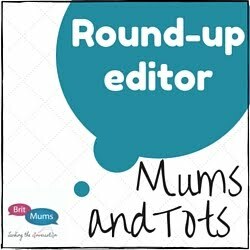 Appointments, birthdays & school holidays. School holidays, doctors appointments, next gin delivery day! Hospital appointments, Dentist / Dental appointments, School Holidays.